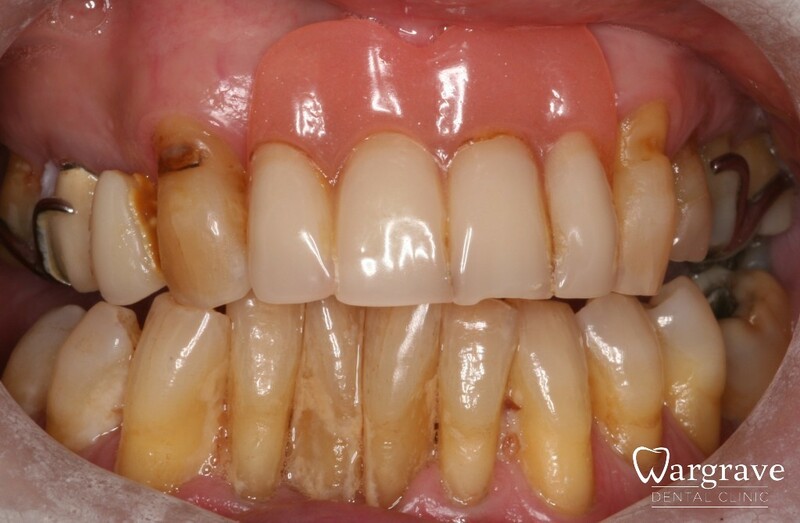 This patient had worn a removable denture for over 20 years. She requested something more secure to help her confidence and ability to eat. The patient was provided with a six unit fixed bridge. 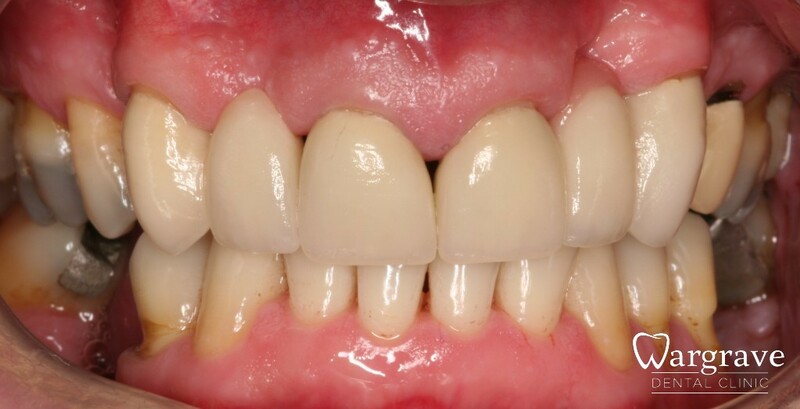 This gentleman had been wearing an acrylic denture since losing his two front teeth. The patient was not keen on dental implants as there was very limited bone available. The patient was restored with two 3 unit bridges and they have been successfully present since 2006. Case 1- adhesive bridges are less invasive and are indicated where there is more enamel present. They rely on metal wings being bonded to the neighbouring teeth. This bridge has been in service since 2007. It is also called a Maryland bridge. 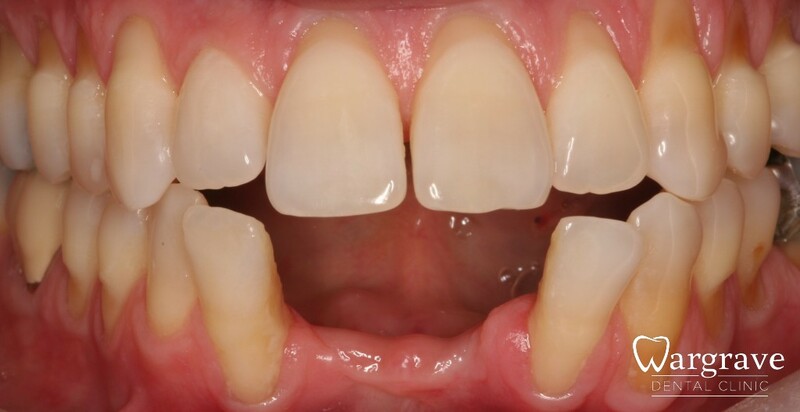 Case 1 – Adhesive bridges can also be used to replace front teeth. They can provide a secure solution as opposed to a removable denture. This patient was not keen on surgery for dental implants but should she ever change her mind, the bridge and glue can be removed leaving the natural teeth as they were. 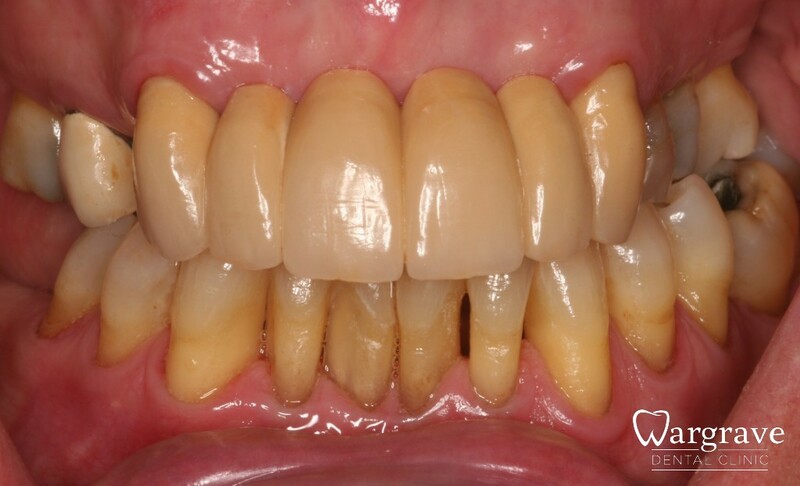 Case 2 – This patient needed some rotten roots extracted, whilst the sites were healing, adhesive bridges were used as a temporary solution so he could still smile. Case 3 – When carefully designed, adhesive bridges can provide a long term, durable and aesthetic solution for missing teeth.